This 12-bed state of the art intensive care unit was designed within an existing 6,500 square foot wing of the UCLA Medical Center. The floor to floor height of only 13' 6" required creative solutions to maximize the ceiling height and to integrate the mechanical systems. By developing a communication center with satellite nursing stations in the corridor at each room, the corridor was widened to 15 feet. In order to maximize surface work space, the communication center is designed with overhead monitoring equipment strategically placed in the soffit above the counter. 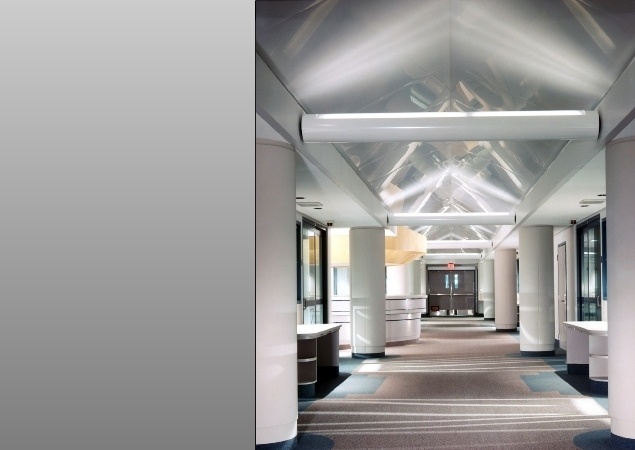 The specially designed vaulted ceiling, with mylar covered acoustical panels, brightens and enhances the quality of the space, while helping to reduce noise. 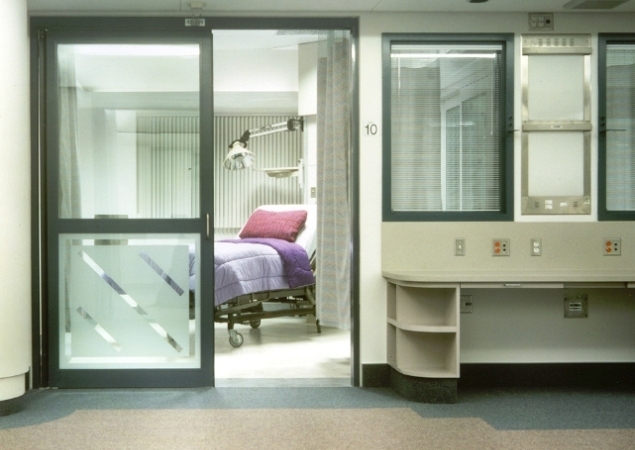 Sliding glass walls in patient rooms extend the feeling of openness and allow for room expansion while mini blinds and sandblasted glass provide privacy. The corridor columns, wainscoting and central desk are covered with impact resistant laminates for crash cart protection. 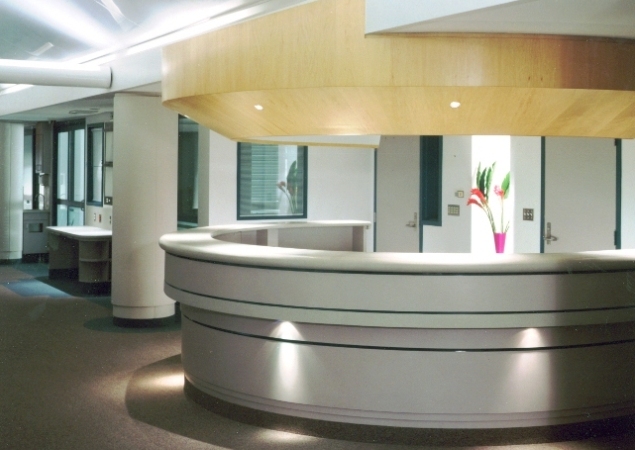 Patient rooms utilize a free standing utility column for all medical support services, which allows for ease of access to patients.